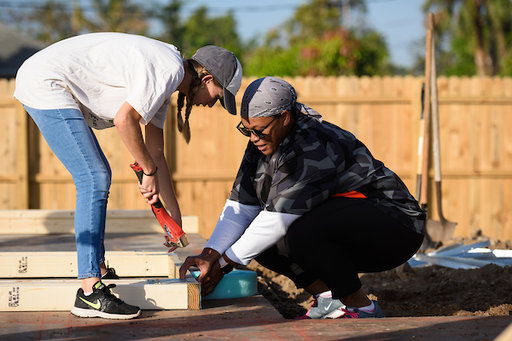 We’re proud to highlight our employees’ commitment to the community, like the Shoulder Arthroplasty Development team’s volunteer work for Habitat for Humanity at the end of March. For the past three years, the Shoulder Arthroplasty Development team (which includes product management and engineering) has been using Arthrex’s unique, paid “Volunteer Day” benefit as a group to inspire teamwork while helping others. 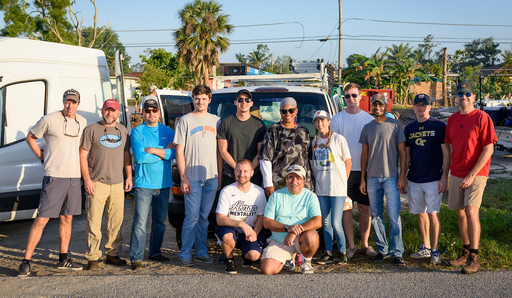 Fifteen team members volunteered on Friday, March 30 to help build a house with Habitat for Humanity. 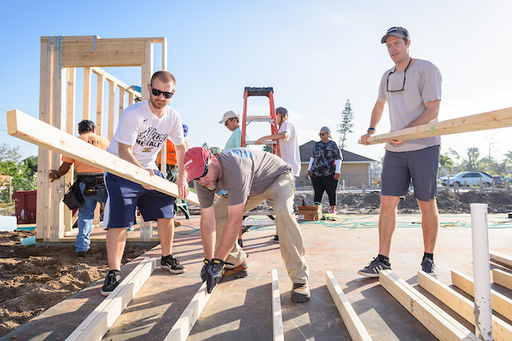 The team painted houses during the last two years’ volunteer days, but this year, they helped earlier in the construction process by framing a house. Thanks to the Shoulder Arthroplasty Development team for reflecting Arthrex’s community mission of Making People Better!